Spring already and I haven’t updated what I’m up to this year! The patch on this basket looks just like a basktry start. Conservators and staff from the National Museum of the American Indian are collaborating with Tlingit weaver Teri Rofkar to link source communities with the conservation of indigenous materials. 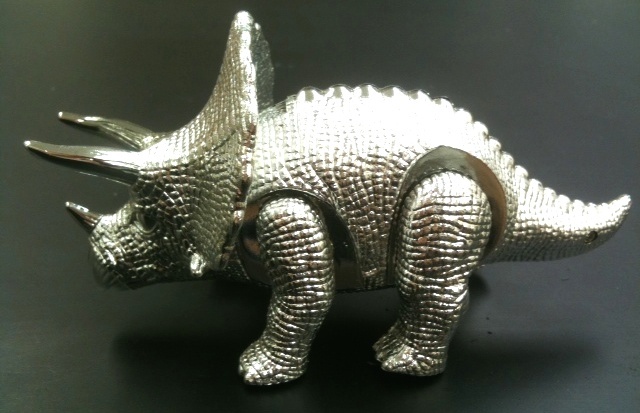 The goal is to help change the paradigm for collections care. With basketry as the focus, they seek to incorporate cumulative history, geography, climate, material harvesting/ processing, indigenous technologies, Native science and living culture into the way museums are caring for and thinking about baskets. Here at the ASM, staff hope to examine historical and archaeological baskets here with the NMAI visitors and local weavers. I have so many questions for them! When using high concentrations of high molecular weight PEG, an unexpected benefit is the control of final color that is afforded with combinations of ethanol and warm water to remove excess PEG from the surface. 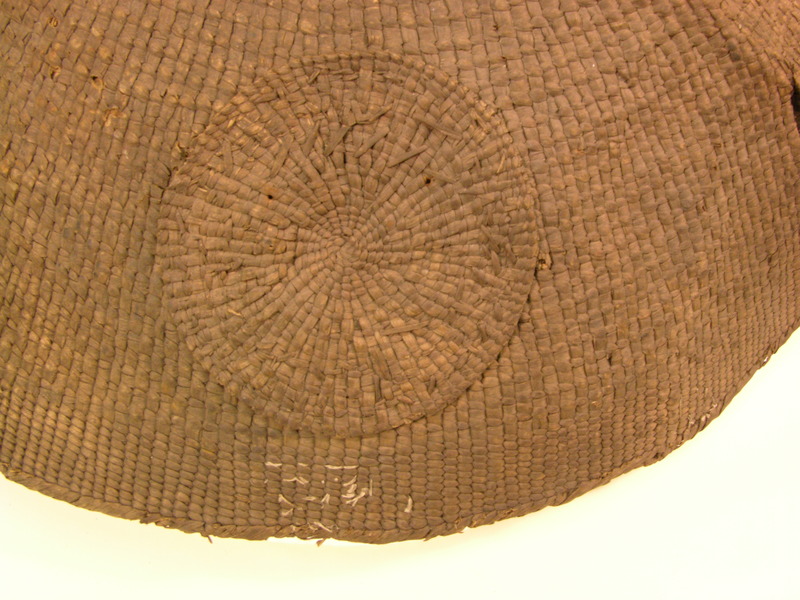 After years of pondering, experimenting, and collaborating with conservator Dana Senge, the last of our waterlogged baskets are finally undergoing PEG treatment. These very deteriorated spruce root baskets (thousands of years old) can be successfully treated but it seems that one must choose between a basket that is rather spongy/delicate or brittle/delicate. Once I get this group finished and can compare the range of efforts, you’ll see a posting on it. 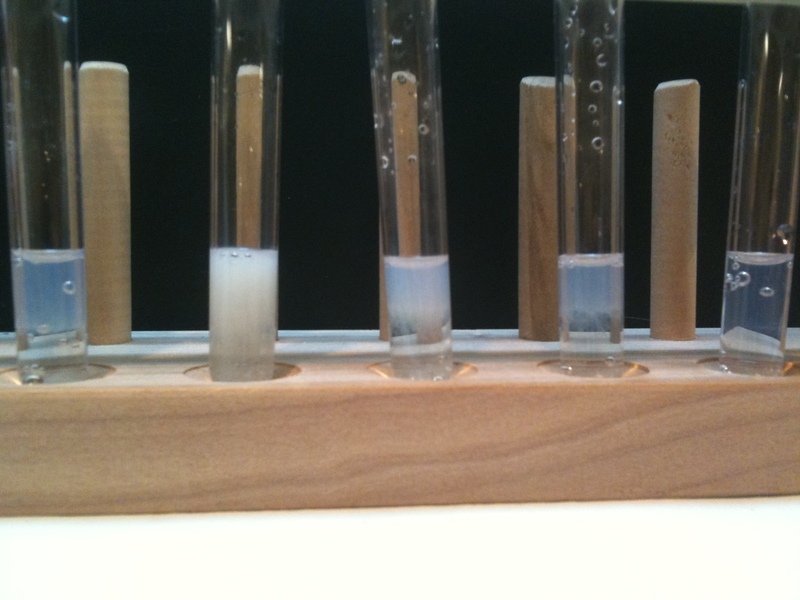 A satisfying set of silver nitrate tests for chlorides in the sodium sesquicarbonate wash waters. More than 80 artifacts that were recovered from the 1868 wreck of the Torrent a few years ago, and only a few of them are still in treatment. I was most thrilled that the slooooow old-school sodium sesquicarbonate treatment I used on the copper alloys appears to have worked. I compared the wash waters I saved using the silver nitrate test for chlorides, and it does indeed look like we had a peak in chloride removal during the middle of the treatment. A bronze mountain howitzer has come back from the Texas A&M lab and the loving attention of Jim Jobling and his crew. They are undertaking electrolysis for two of the portholes, while I did the sodium sesquicarbonate on the other two. Hoping to give y’all a posting on the comparisons and pros/cons of the two methods. 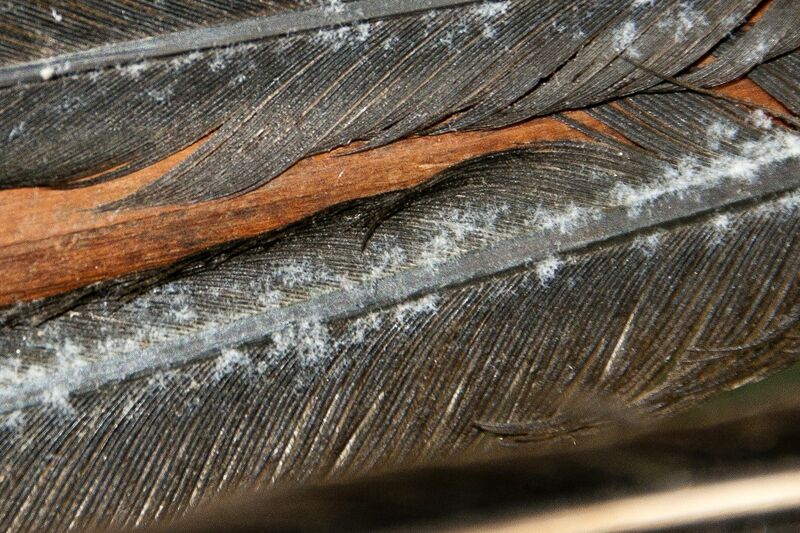 During Crista Pack’s 2011 summer project, we found mold on a few artifacts. 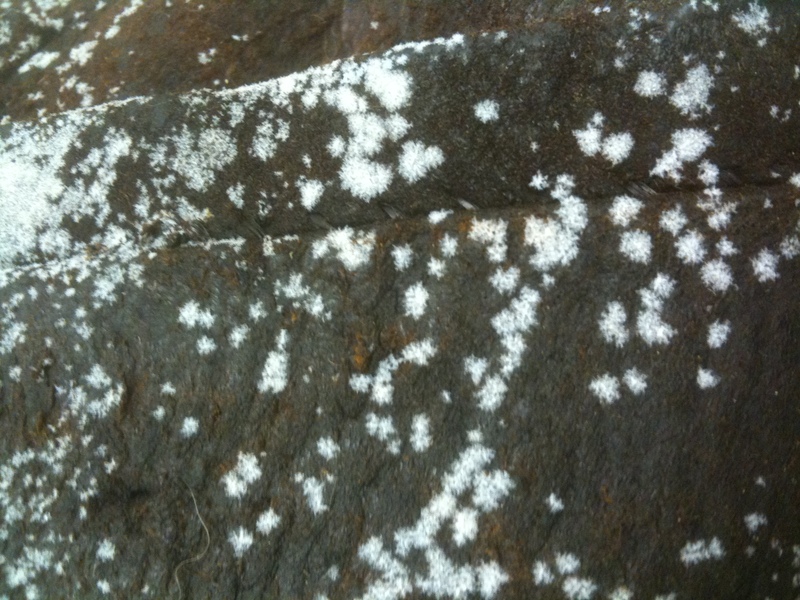 It was a weird mystery that is described on the “What’s That White Stuff?” weblog, as well as a link to her research paper the subsequent semester explaining what is likely happening. There is a plan afoot to work with the artist (Murray) and fabricator (Lippencott) to give Nimbus some TLC. 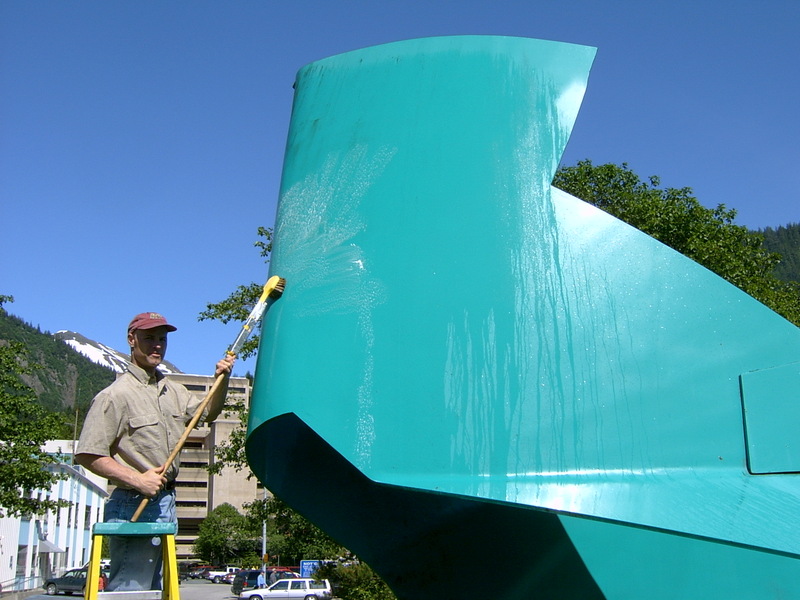 It could use better positioning on its site, repairs to areas that have a tendency to catch water and rust, a badly needed new paint job, and maybe even reattach the dimensions lost when the sculpture was unceremoniously chopped down with a blowtorch. Nimbus has a long and chequered history in Juneau, and it’s been a while since the public art/ what is art for/ what does this sculpture mean discussion has taken place. It is sure to be lively, and the possibility of the artist and fabricator being involved is beyond thrilling. 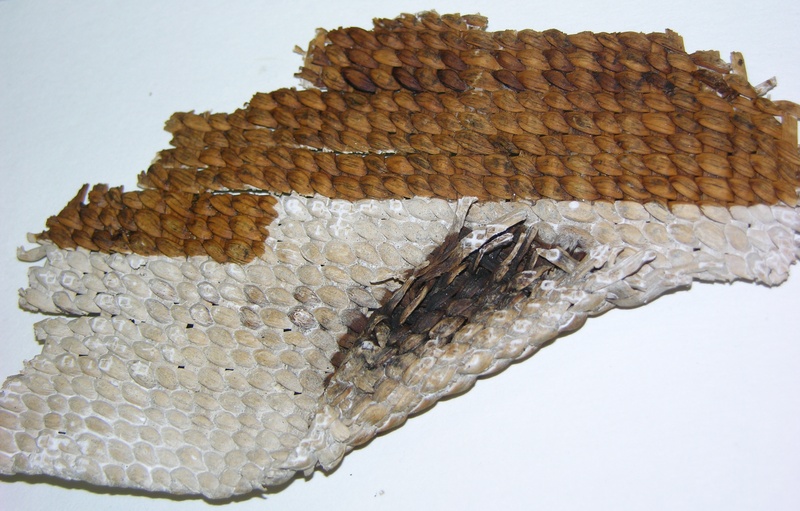 Disfiguring fatty bloom on leather that was treated with a dressing in the 1970's. There are still folks in Alaska who put leather dressing on their collections. Stay tuned for a posting aimed at the Alaskan museum collections care audience about WHY we don’t recommend this anymore. Theater Organ in the State Office Building, Juneau Alaska. After various adventures, it was saved and restored by a committee of engaged citizens. The organ and a custom-built chamber are now in the public atrium of the State Office Building, where organ concerts are performed every Friday over the noon hour. 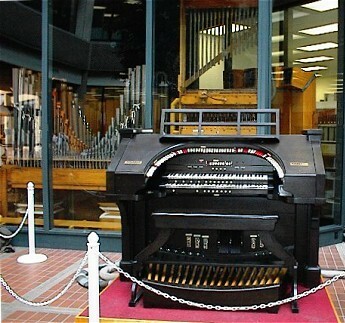 The organ became part of the Alaska State Museum collection in 1975 in order to protect and preserve it. The time has come to develop a long range plan for its regular maintenance and tuning, which has happened on an irregular basis for decades. At the 2008 ICOM-CC Triennial Conference, keynote speaker Tharron Bloomfield (Maori) lit the fuse. I’m copying his quote: “The term ‘ethnographic’ conservator is at best old fashioned and inadequate, and at worst offensive and racist. The word ethnographic suggests it is the culture of ‘them rather than us’, it also makes a judgment that one culture is superior to another. Why are the clothing, weaponry and tools of my ancestors described as ethnographic, while the clothing, weaponry and tools of someone from a European culture not? It is time for conservators who work with the cultural material to find another, more appropriate name for the material they work with.” I’ve been a member of the Name Change Committee, and the international discussions have been hugely eye-opening to me. I think when the committee presents its work and the ICOM-CC working group votes on this name issue, we will be watched with interest by many outside the profession. 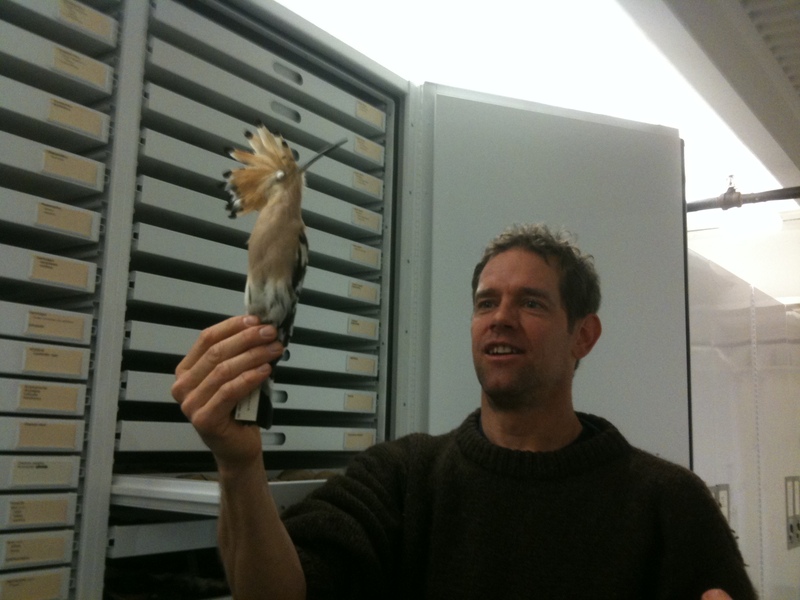 Pinniped bone specialist Mike Etnier leads the Alaska Consortium of Zooarchaeologists on a tour of some collections at the Burke Museum, including this Upupa epops (hoopoe). For the third year in a row, I attended the Alaska Anthropological Association conference in an attempt to better understand the field of anthropology and build bridges. It took place in Seattle, and included behind the scenes tours at the Burke Museum and NOAA’s Marine Mammal Research Collection. One of my favorite groups of people there is the Alaska Consortium of Zooarchaeologists, who as you can imagine are nuts about bones and not afraid to get their hands dirty. There are also gems like Dr. Claire Alix, a wood specialist who knows all kinds of amazing information about the kinds of wood that washes up as driftwood on the shores of Alaska, where it comes from, and how long it takes to get there. There was a whole group of talks about very early explorer/collectors in Alaska, what they were up to, and what happened to their collections. Here’s an interesting set of numbers to share. Of 160 authors described in the program, 63% were from academia, 16% were Cultural Resource Management (CRM) archaeologists (in the business of excavating in advance of development according to federal regulations), 12% worked for government, 7% worked for museums, and 2% were Native. 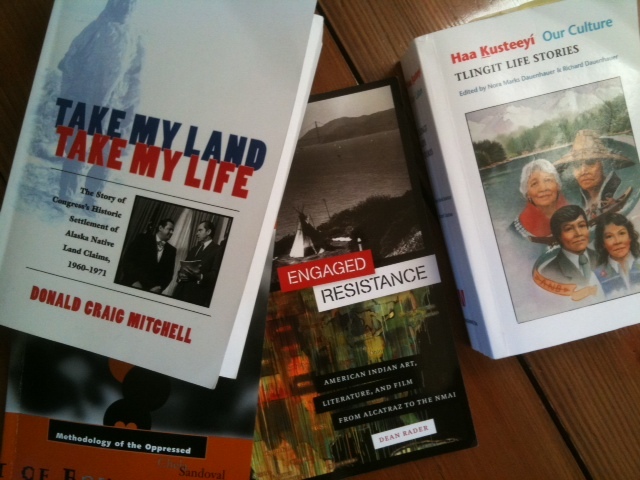 Some ANTH 475 textbooks: Haa Kusteeyi: Our Culture by Dauenhauer and Dauenhauer; Take My Land Take My Life by Mitchell; Engaged Resistance: American Indian Art, Literature and Film from Alcatraz to the NMAI by Rader; and Methodology of the Oppressed by Sandoval. In January 2012, I was accepted into the PhD program in Anthropology at the University of Alaska Fairbanks (UAF). I will be on campus full-time for the Fall of 2012, and hoping to do the rest of the coursework from Juneau. I’m taking two courses now. ANTH 606: Mythology and Folklore from an Anthropological Perspective is a UAF course offered in Juneau through videoconferencing with the class in Fairbanks. In fact, there is a small contingent of scholars taking the class here, including Anastasia Tarman Lynch, from the Alaska State Library’s Historical Collections (also pursuing a PhD in anthropology), Zachary Jones from the Sealaska Heritage Institute (pursuing an interdisciplinary PhD focused on ethnohistory) and Daniel Strong, also from the Sealaska Heritage Institute (pursuing an MA in anthropology). The other class I’m taking is on the Juneau campus, ANTH 475: Alaska Native Social Change. It is an undergrad class, and taking 6 credits while working full time is nearly killing me, but I think you’ll know why I HAD to take this class when I mention the professor, Lance Twitchell, is Alaska Native himself and is offering perspectives I have never had before in an academic setting. You are currently browsing the Ellen Carrlee Conservation blog archives for March, 2012.